The seedling stage is one of the most sensitive periods of a plant’s life. If managed well, seedlings develop into strong young plants that go on to be solid producers. However, if managed poorly, the plant can become stunted and never live up to its potential. Caring for seedlings in coco coir can be tricky, but we have you covered. In this tutorial, we walk you through everything you need to know and do to grow cannabis seedlings in coco coir. 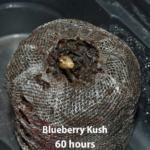 We cover how to prepare coco for seedlings, the best containers for seedlings in coco, relative humidity for cannabis seedlings, temperature for cannabis seedlings, light for cannabis seedlings, fertilizers for cannabis seedlings, how to water seedlings in coco coir, and how to treat seedlings with calcium deficiency. 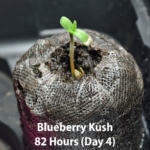 This tutorial covers the roughly two-week period of the seedling stage. The seedling stage starts when the cotyledons (first round leaves) open, usually around 3-4 days after the seed gets wet. The seedling stage runs until the plant has three true nodes (sets of serrated leaves). 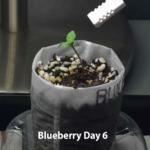 Hence, this tutorial covers roughly days 3-15 from seed. 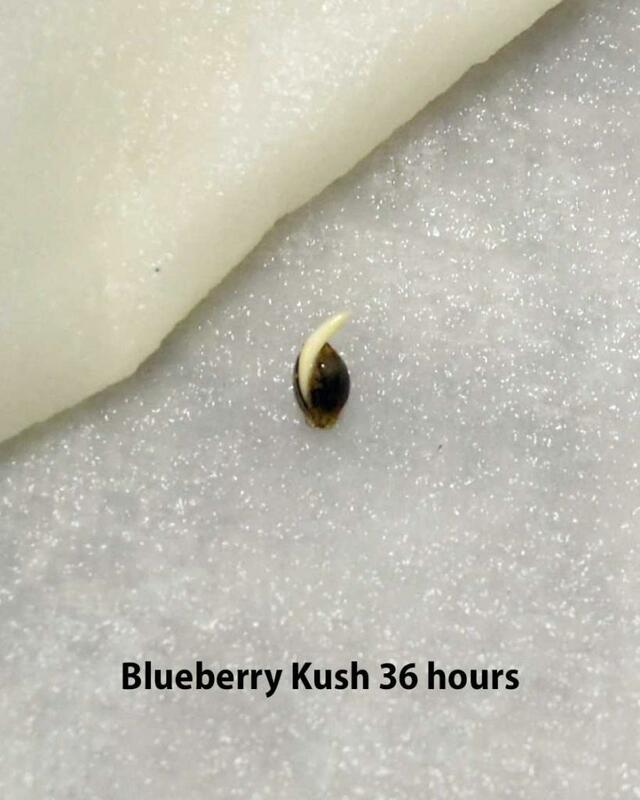 For those crucial first 3 days, be sure to see our tutorial on “How to Germinate Cannabis Seeds” (Coming Soon). As the plants start maturing during the seedling stage, it is time to work your way through a transplant strategy. We recommend that you always use a transplant regime and never start seedlings in final containers. 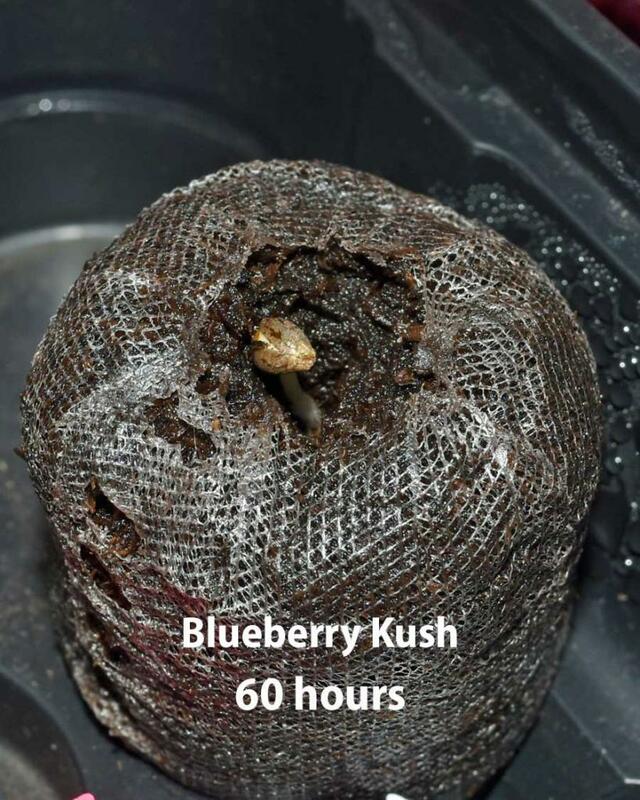 For simple instructions and our explanation, be sure to see our tutorial, “Why and How to Transplant Cannabis Plants” (Coming Soon). You will eventually get to final containers, so be sure to read our recommendations in “Pot Size and Type: The Best Containers for Cannabis in Coco” (Coming Soon). 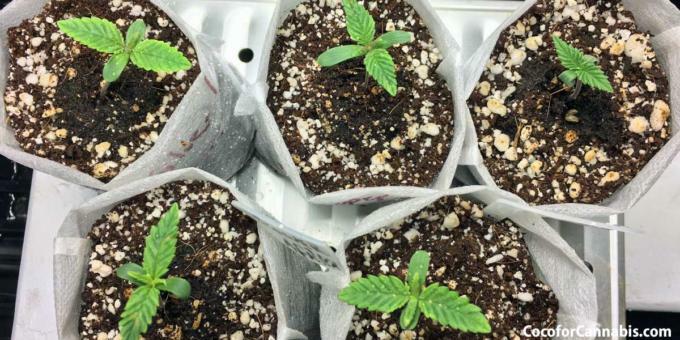 The end of the seedling stage is also when you should think about training your plants, so be sure to read our article, “Why You Should Train Cannabis Plants” and see our training tutorials. Buffer the coco to avoid CalMag issues. Before you use coco, it should be properly rinsed, buffered and mixed with perlite. 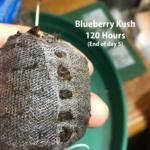 Be sure to see our video and tutorial for “How to Prepare and Buffer Coco Coir”. The buffering process is crucial to prepare the coco for plants, and especially seedlings. As I explain in the article, “Why You Need Cal/Mag in Coco”, the coco itself has cation exchange sites that need to be filled with calcium or magnesium. Buffering the coco allows you to satisfy the majority of the cation exchange sites. However, during the grow, more cation exchange sites are continuously exposed, which require additional CalMag. The coco will take its share of the calcium and magnesium before the plant has a chance, so if you do not provide enough, the plant will suffer. Calcium and magnesium deficiencies are common problems with plants grown in coco. 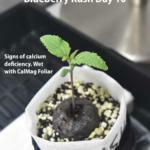 It is especially difficult to deal with CalMag problems during the seedling stage. This is because the coco is taking the Ca and Mg from the nutrient solution. However, you cannot simply increase the dose. You are limited in the amount of CalMag that you can provide to seedlings because they cannot tolerate a solution with high Electrical Conductivity (EC). CalMag has a strong impact on EC so when seedlings do suffer Ca or Mg deficiencies, they can be tough to correct. If you do encounter problems with Ca or Mg deficiency during the seedling stage, we have suggestions for you below. However, it is best to avoid the problems in the first place by properly preparing your coco. 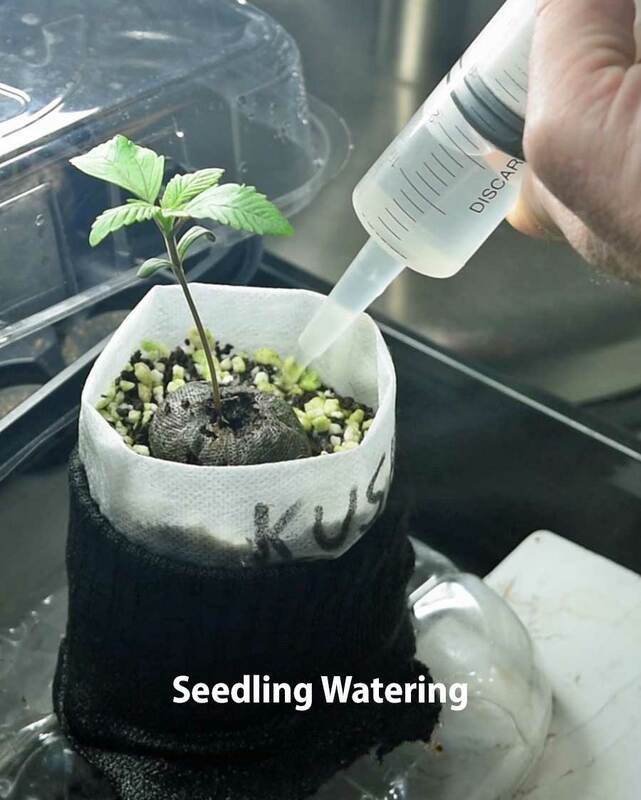 Buffering with a strong dose of CalMag prior to using the coco allows you to provide relatively little CalMag during the seedling stage of the grow. However, buffering solutions themselves have a high EC, and seedlings could be burned if they are placed in coco fresh from the buffering process. Therefore, it is important to reduce the residual EC in the coco before transplanting the seedlings. When I begin a grow, I prepare and buffer enough coco for the final containers. I keep the bulk of the coco/perlite moist with CalMag Water in fabric pots until I need it. When it comes time to place seedlings into coco, I fill the seedling container with coco/perlite and then flush it by pouring pure water with a pH of 6.5 though the container until the run-off is less than EC 100 (0.1). This flush is important because otherwise the residual high EC from the buffering process could burn your sensitive seedlings. We recommend growing sprouts first in a Rapid Rooter or Jiffy Pellet before transferring to coco. These peat-based media provide a more stable buffer for germinating seeds and sprouts. 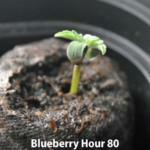 Be sure to see our tutorial, "How to Germinate Cannabis Seeds" (Coming Soon). When the root of the sprout grows through the Rapid Rooter or Jiffy Pellet, the little plant should be transplanted into the first container, where it will live out its seedling days. We advise strongly against placing small plants into large final containers. 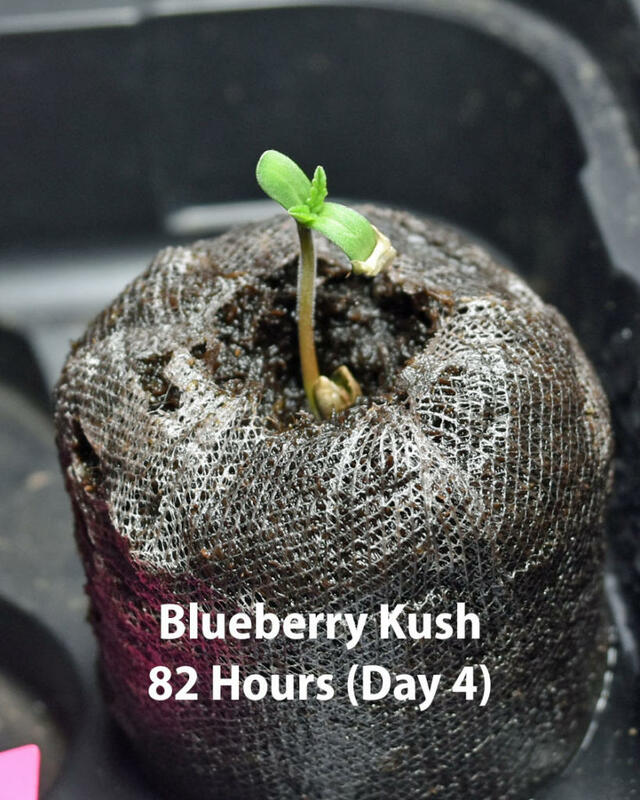 As I explain in our article, “Why and How to Transplant Cannabis Plants”(Coming Soon), there are significant benefits to starting plants in small containers. 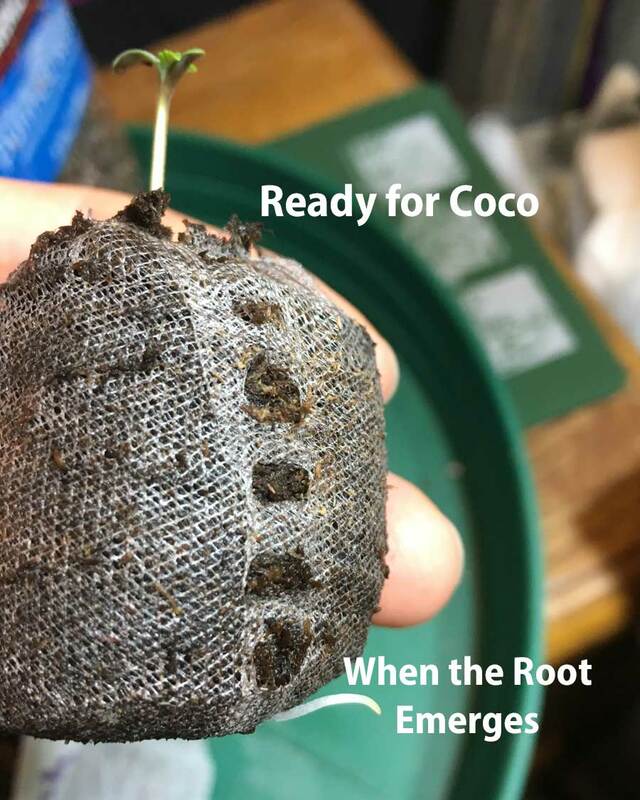 When the root emerges, we recommend placing the plants into either fabric seedling bags or solo cups with prepared coco. 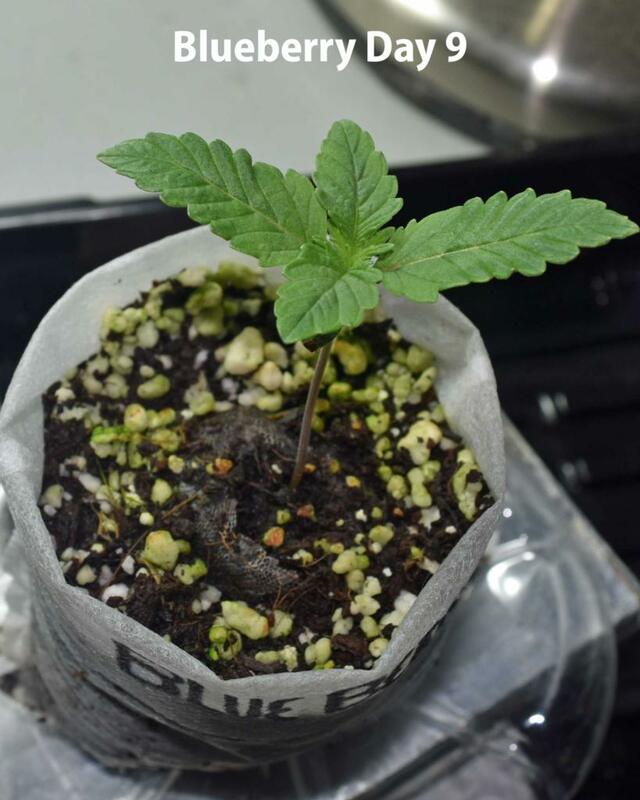 The seedling bags create an ideal environment for young roots, however the solo cups are somewhat easier to transplant out of at the end of the seedling stage. 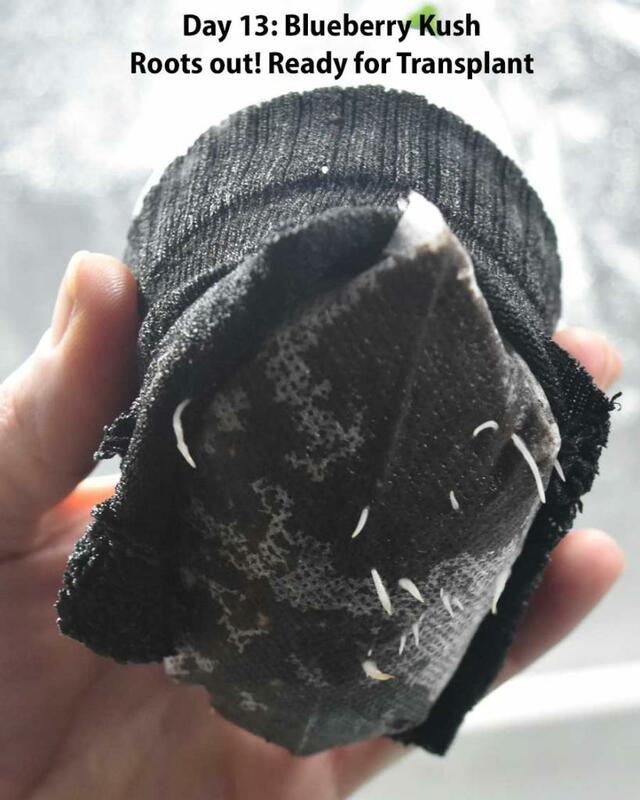 If you use solo cups, be sure to cut numerous holes in the bottom of the cup to allow drainage. Transplanting out of seedling containers can be tricky whether you use fabric seedling bags or plastic solo cups. 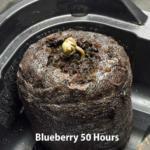 For complete instructions and photos of the process be sure to see “Why and How to Transplant Cannabis Plants” (Coming Soon). The humidity and temperature are very important during the early stages of growth with seedlings. Without the right climate characteristics, the young plants will not live up to their full potential. 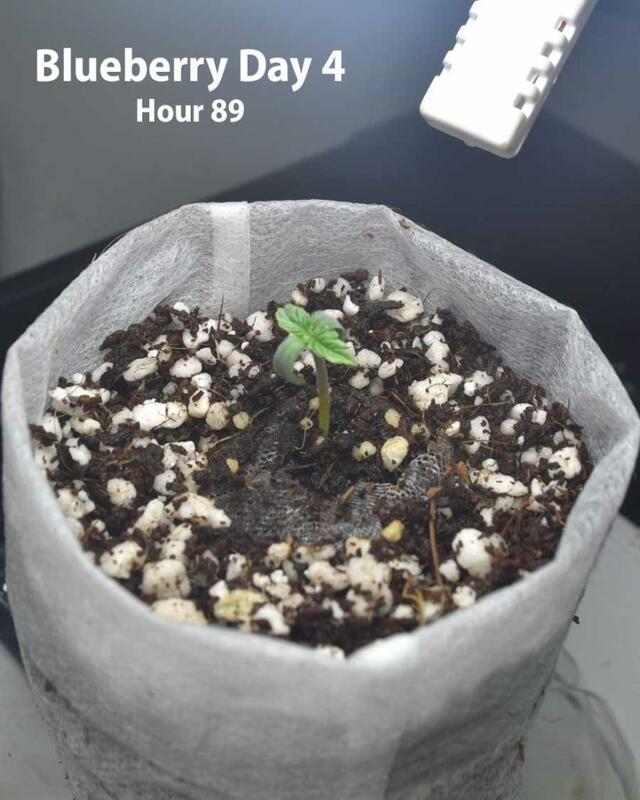 During the seedling stage the relative humidity should remain high, 65 – 80% and the temperature should be moderate, 72-79f (22-26c). Relative humidity (RH) is always important to control because it affects transpiration. During vegetative growth we recommend keeping RH 60-75% (See, “The Best Environment for Growing Cannabis”). However, during the seedling stage it is helpful to keep a somewhat higher RH. This is because young seedlings have underdeveloped roots and it can be difficult for them to pull adequate moisture from the soil. Keeping higher relative humidity reduces the stress on seedlings. You can use various strategies to achieve the correct RH. 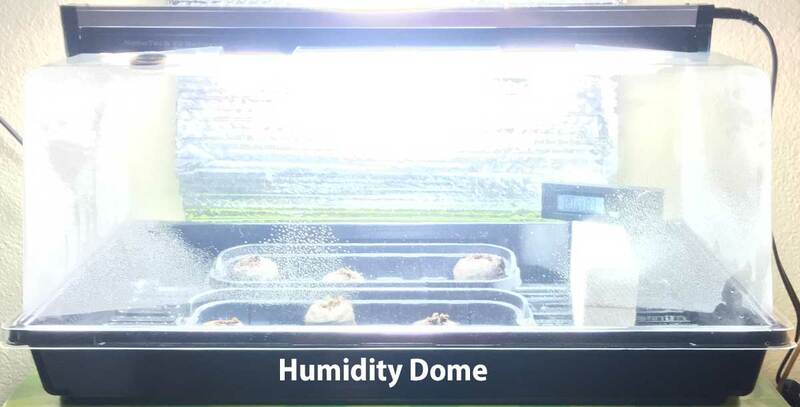 Since the plants are small, you can maintain high RH with the use of a humidity dome. This allows you complete control of their RH as long as they fit in the dome and you use a hygrometer. You could also work to control the humidity of the whole tent or room with a humidifier. It is often necessary to raise the RH during the seedling stage. However, if you follow the high frequency fertigation which we recommend (See “How to Water Cannabis in Coco”), the plants will produce sufficient humidity once they get into their final containers. The temperature that plants grow in has a large influence on the photosynthetic efficiency and respiration. Seedlings are more sensitive than older plants and it is worth the effort to maintain their temperature in a narrower range. If plants are too cold or too hot, growth will be reduced as biological processes, especially photosynthesis, are directly influenced by temperature. You may need to either heat or cool your seedlings in order to achieve the correct temperature. 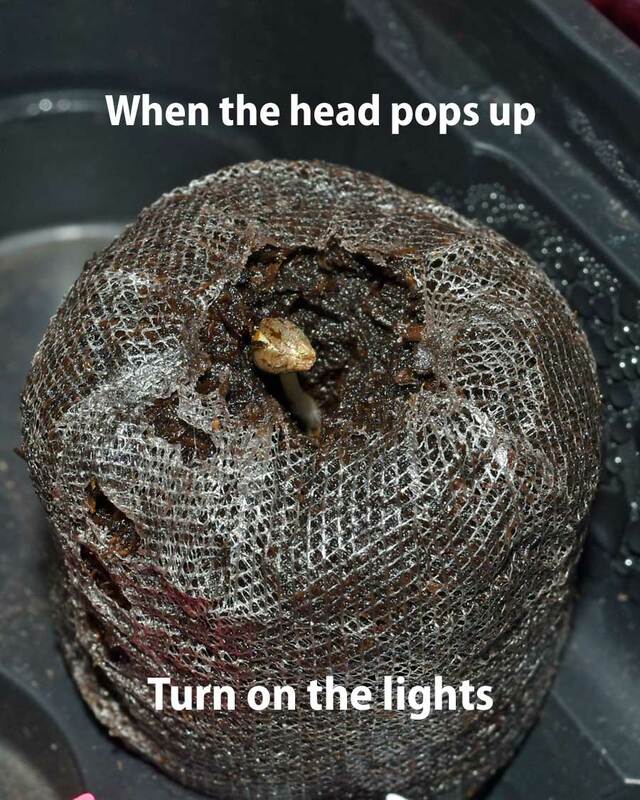 If a little heat is needed, then you can use a seedling heat mat below your humidity dome. Cooling is more difficult, so be aware that most of the heat comes from the lights and be sure that the lights get good ventilation even if you are trapping the humidity around the plants. Young seedlings have underdeveloped leaves that cannot yet process high levels of light energy. 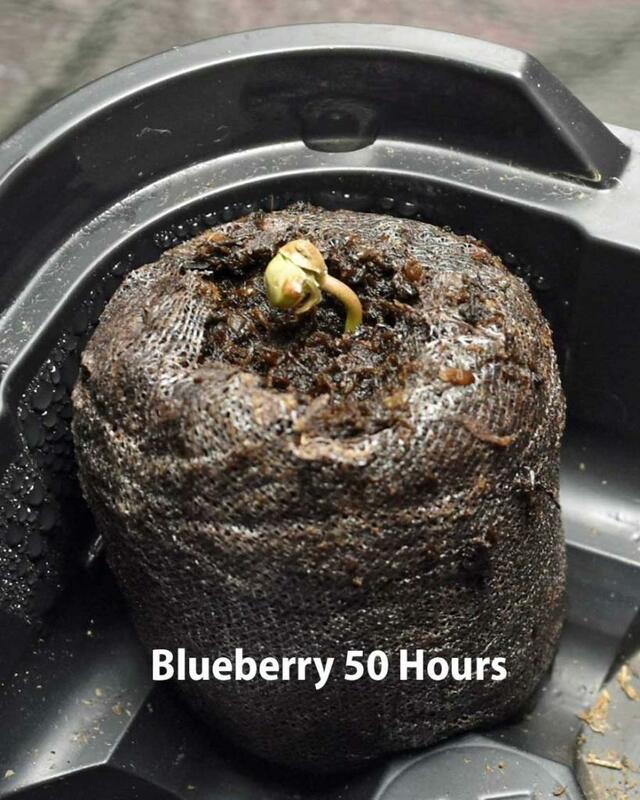 Therefore, during the seedling stage, it is best to keep the intensity of light low. Therefore, you should save the high-powered grow lights to use later and use low wattage fluorescent or LED lights for cannabis seedlings. If you have a lux meter or quantum meter, you will want to keep your seedlings between 8000 – 20,000 lux or 100 – 300 umols PPFD. This means that a 15-25 watt fluorescent or LED propagation light is perfect for seedlings. 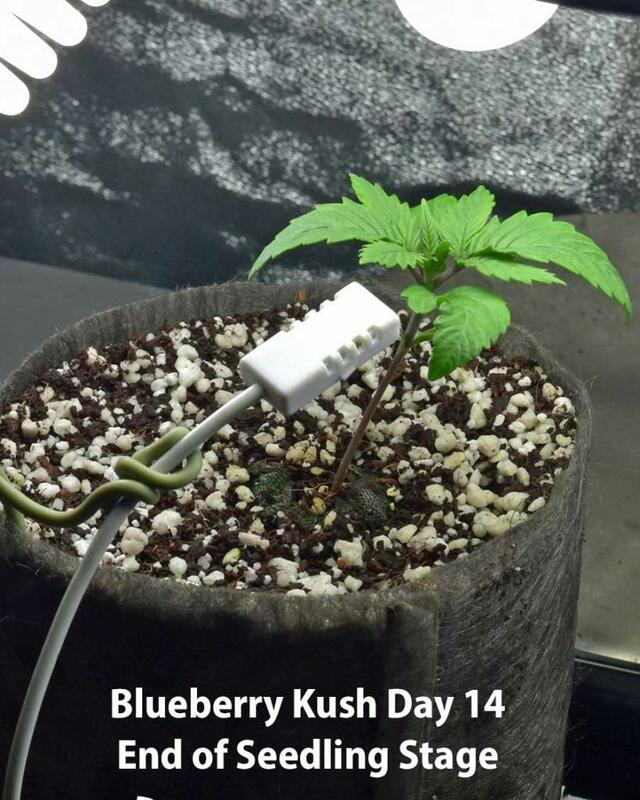 I use 23-watt CFLs (100-watt equivalent) during the seedling stage and each seedling gets their own. 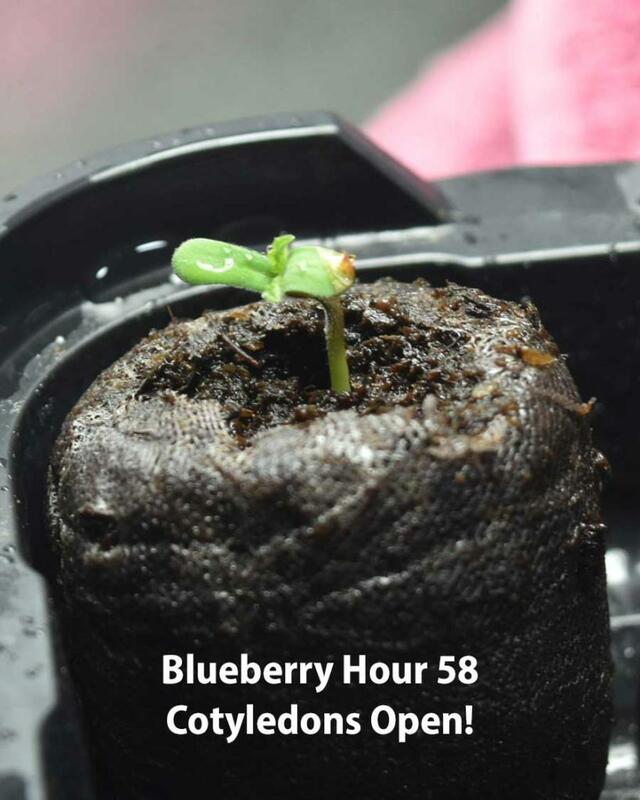 The distance between your lights and seedlings will depend on the intensity of your lights and some experimentation will be needed to find the right height. I start the lights about 4 inches from the plants when I first turn them on and move them to around 2 inches after the first set of true leaves have developed. I keep a thermometer/hygrometer probe right next to the seedling to ensure that the temperature does not get too high and that the humidity does not get too low. 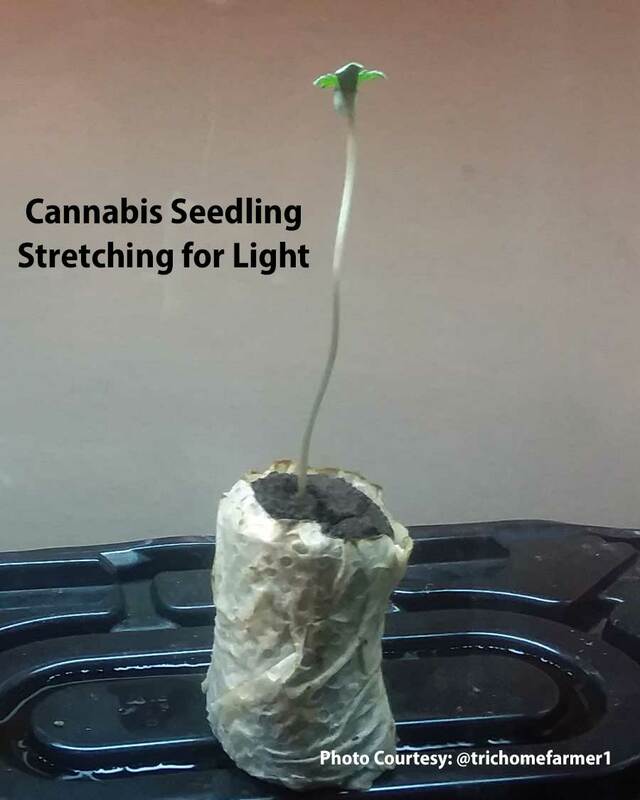 If the seedling is not getting enough light it will stretch and quickly grow vertically. This may seem like progress, but it produces a weak plant structure and slows overall growth. 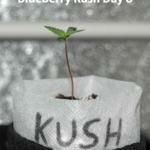 Conversely, if the seedling gets too much light it can damage photosynthetic systems and other cellular components. This will limit the plants ability to sustain optimal photosynthesis and growth. 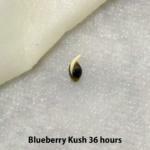 As we explain in our tutorial, “How to Germinate Cannabis Seeds” (Coming Soon), the seeds should be germinated in the dark to protect the young root from light. However, once the root is in media and the head emerges from the Rapid Rooter or Jiffy Pellet, the lights should come on. I leave my CFL lights on 24/0 (full time) until the cotyledons open, at which point I begin 18/6 lighting. 18/6 refers to a light schedule where the lights are on for 18 hours and off for 6. I like to have the light-off period occur during the daytime rather than at night because this makes it easier to maintain a consistent climate. 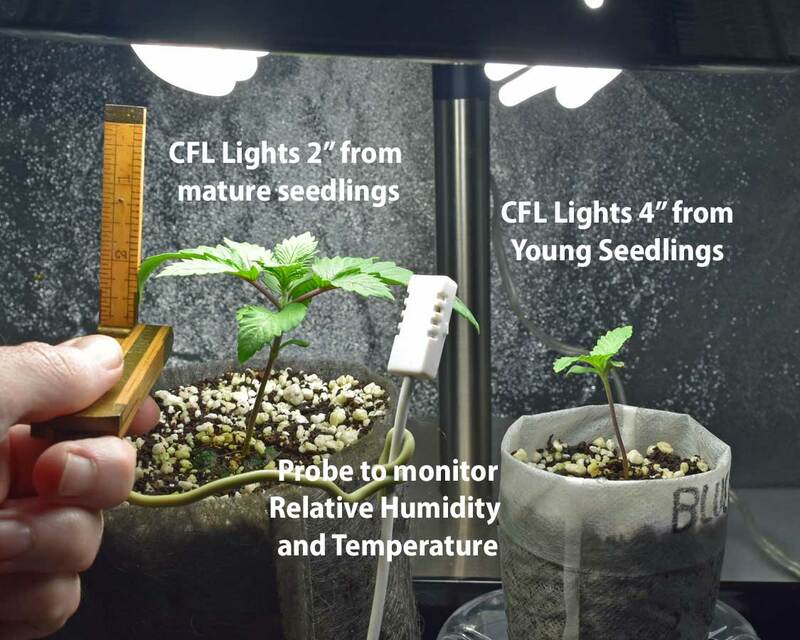 For more on light cycles and why we recommend 18/6 lighting for seedlings and vegetation, be sure to read our article, “Cannabis Light Cycle Fundamentals”. When seeds first sprout, they use energy that is stored in the seed for their initial growth and development. That energy is quickly depleted, so plants are in a race to grow their leaves to be able to capture their own energy through photosynthesis. Plants do not get their energy from fertilizers, rather they get energy from the light and capture it through photosynthesis. The fertilizers that we provide allow the plant to conduct photosynthesis efficiently, but they are not “food” that plants “eat” for energy. Until the plant opens its leaves it is not capable of photosynthesis. Therefore, it is best to avoid any fertilizers and keep germinating seeds and sprouts in low EC water. However, once the cotyledons open the plant will begin to fire up its ability to photosynthesize light energy. Plants can only perform photosynthesis when they have access to micro and macro nutrients. Coco is an inert medium, therefore, the plant only receives nutrients if we provide it with the irrigation water. As I explain in the articles “Principles of Fertigation” and “Understanding Osmosis and EC”, fertigation always requires a balance. On the one hand, adding nutrients to the water helps the plant grow. 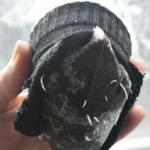 On the other hand, adding too much can prevent the plant from absorbing water. During the seedling stage it is particularly important to provide nutrient solution that is the correct strength as measured by Electrical Conductivity (EC). 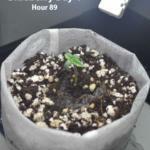 The seedling is in its first container with coco/perlite. 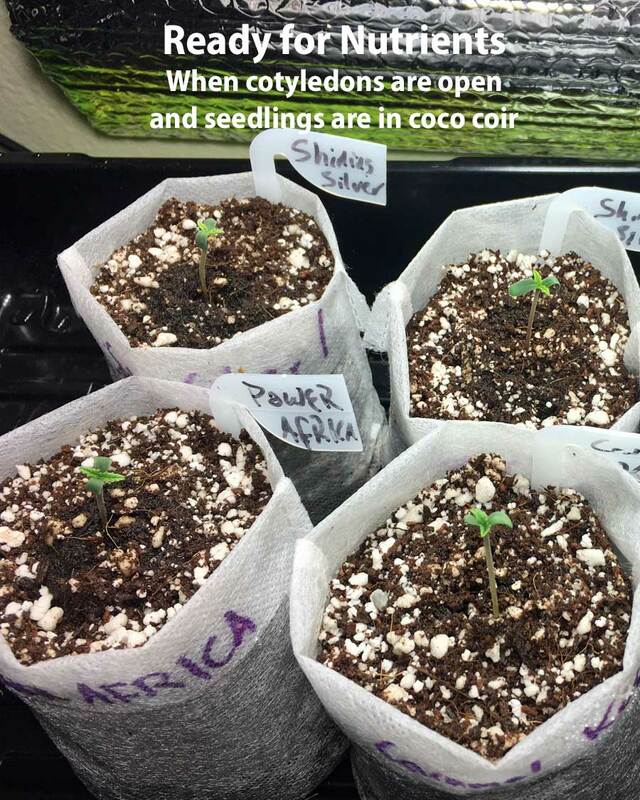 If the cotyledons are already open prior to transplanting into coco, then it is a good practice to presoak the coco in the seedling pot with nutrient solution at the appropriate pH and EC prior to adding the seedlings. There are several key steps to follow to ensure that you mix solutions in the correct order and which have the correct Nutrient Element Ratio (NER), are the correct strength as measured by electrical conductivity (EC), and which have the correct pH. Before proceeding here, be sure to see my video and read our tutorial, “How to Mix Nutrient Solutions for Cannabis”. Seedlings must be started with a nutrient solution that is very low strength as measured by Electrical Conductivity (EC). The first couple of fertigations should be at an EC of only 400. By the third fertigation, you can start to raise the inflow EC by 75-100 points at each event, as I show in the example timelines below. Gradually increasing the EC in this fashion allows plants to tolerate and then thrive under higher EC conditions where it is best to keep them through the rest of the grow. Be sure to see our tutorial, “How to Set EC Targets”. The Coco for Cannabis Nutrient Schedule is based on the General Hydroponics Flora Series Line. If you are using a different line, be sure to follow the ratios provided by the supplier for the base nutrients. 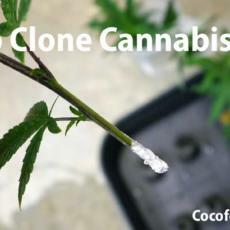 The Coco for Cannabis Seedling Blend Recipe will produce a nutrient solution with an EC of about 1000. This is too strong for the initial fertigations and portions of the water should be diluted to reach the target EC for each fertigation event. When plants are still seedlings, the amounts needed for each fertigation event are very small. Depending on the number of plants that you are growing, one or two gallons of full strength solution should be sufficient for the full week. I mix one gallon of full strength seedling blend solution prior to the first fertigation. I confirm that the EC is about 1000 and I measure and adjust the pH for the full gallon. During the seedling stage in coco, I keep the pH of my inflow between 6.2 and 6.4 because this improves calcium solubility during this sensitive time. However, I will be diluting the solution for each fertigation event and the dilution will slightly raise the pH of the solution. Therefore, I set the pH of the initial gallon to be 6.0 or 6.1. Once I have the gallon mixed, I pour a small amount into a separate container and then dilute that with filtered or bottled water until I reach my target EC for that fertigation. I confirm that the pH is 6.2-6.4 before applying the solution to the coco. It is very difficult to accurately adjust the pH of a small sample of solution. Therefore, if the pH is outside the target range, it is best to pour that water back and start again. Go back and adjust the pH of the of the gallon, keeping in mind how the sample was affected by dilution during the first attempt. Coco should never be allowed to get very dry. As a result, seedlings should be watered once or twice per day once they are placed in their seedling pots with coco/perlite. The amount of water needed for each event is very small because the seedling pots are small, and you never allow them to get very dry. Start with daily watering, however by the third or fourth day of fertigation, you can increase frequency to twice daily. See the example timelines below. I use a giant 60ml oral syringe to fertigate my little seedlings. This makes it easy to apply water slowly and carefully. The Rapid Rooter or Jiffy Pellet will be in the center of the seedling pot. To help with drainage and to encourage root growth it is best to avoid watering the top of the Rapid Rooter or Jiffy Pellet. Using the watering syringe allows you to carefully water around the pellet or rooter and saturate the coco. The seedling stage is a balance between the calcium needs of the coco and the low EC tolerance of the seedlings. Even if you are well prepared, you may encounter issues with calcium or magnesium deficiency during the seedling stage in plants grown in coco. 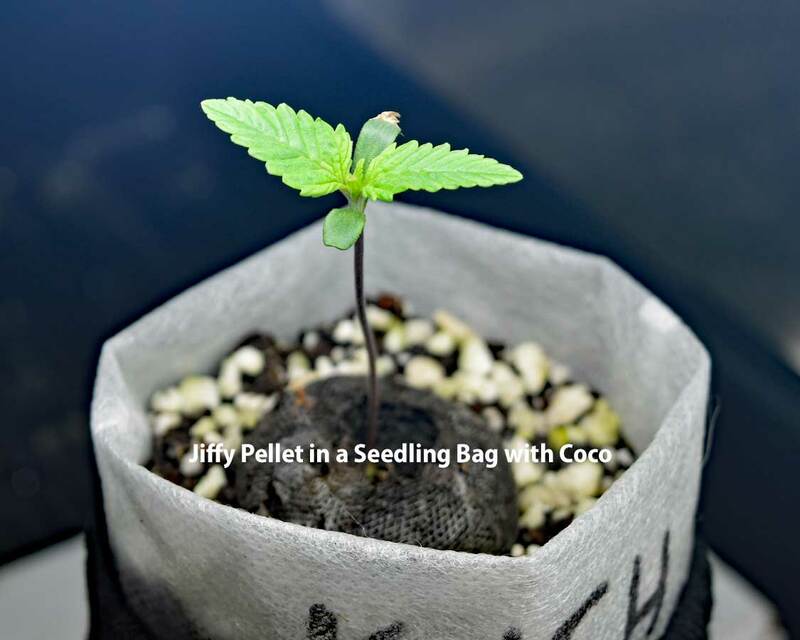 Buffering your coco is critical to help ensure a smooth seedling stage. 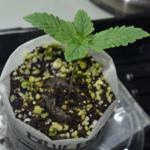 Be sure to see our tutorial, “How to Prepare and Buffer Coco Coir”. If the coco is properly buffered these problems can be managed and will subside as soon as you are able to fertigate with full strength solution. 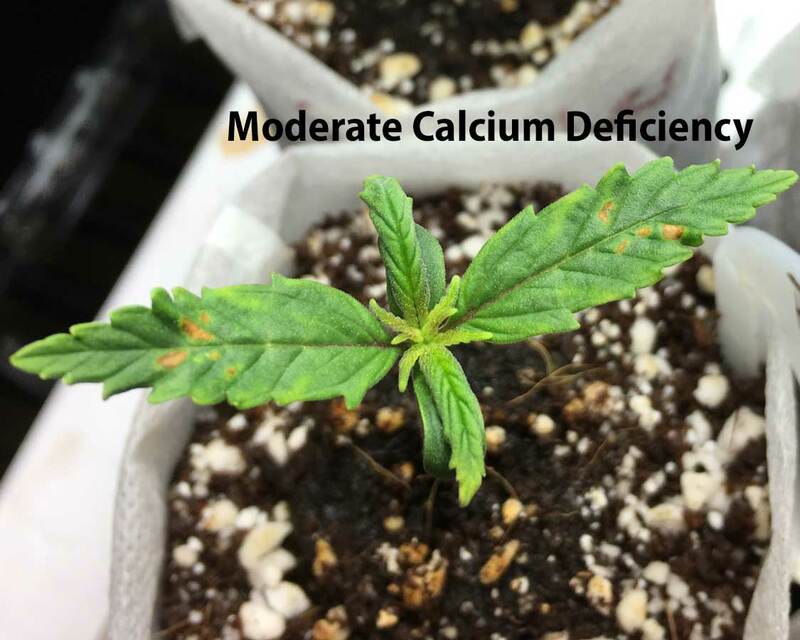 Calcium deficiency is the most common problem that you may encounter. The first sign of calcium deficiency is a slight twisting of the leaves. Sometimes the edges of the leaves look wavy as a result. You can often observe this on the leaves of seedlings on the first two nodes. If symptoms progress, you will notice brown spots form on the leaves. 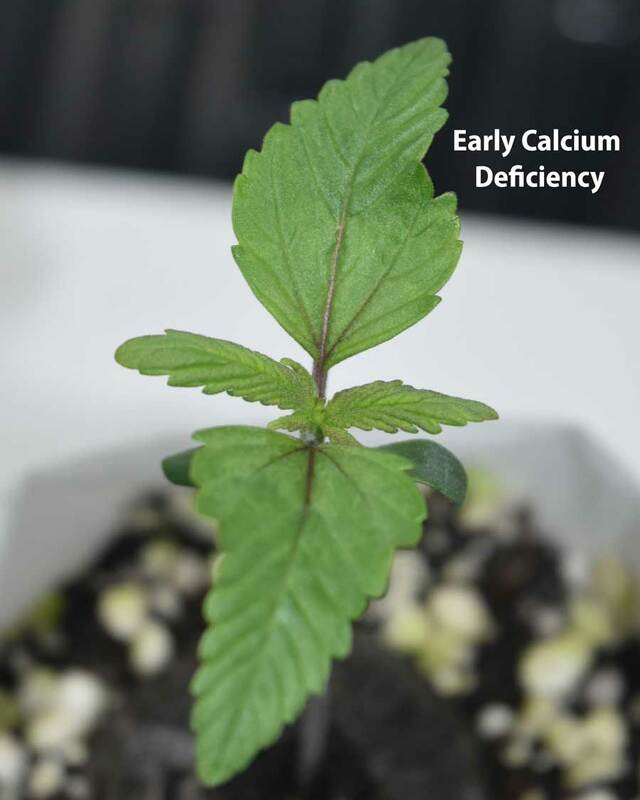 As soon as you see the first indications of seedling calcium deficiency begin treating them twice daily with a CalMag foliar spray. Plants can absorb calcium through their leaves and in this way the plant can get it without having to compete with the coco for it. 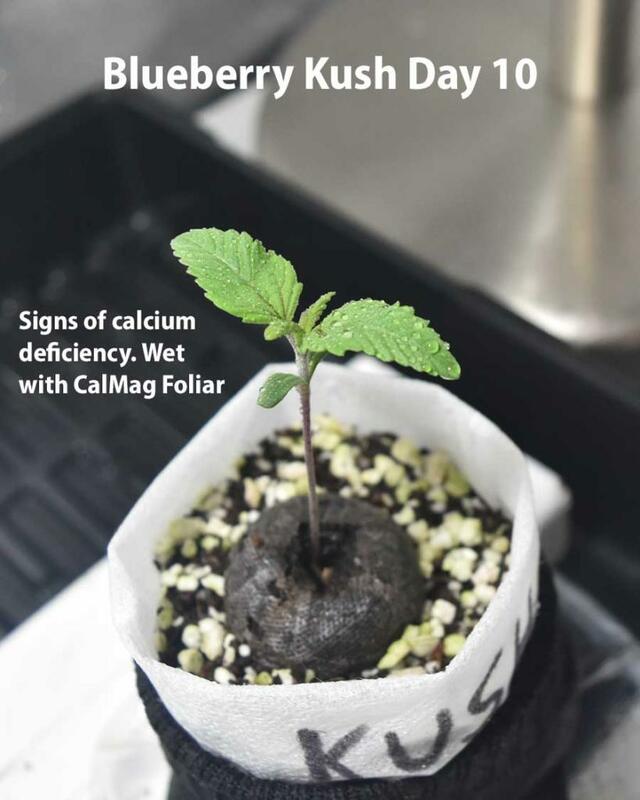 As a foliar application, the seedlings can handle a full-strength dose of CalMag. That is 5ml of General Hydroponics Calimagic per gallon. However, you can mix a smaller batch, just add enough CalMag so that the EC is 800. pH should be above 6.2. Adding a wetting agent to the foliar solution is optional. It is best to use a pressure sprayer to apply the foliar as this will deliver a fine mist, however, you could use any spray bottle. Continue the foliar treatment until the seedlings are on the full-strength seedling blend. If symptoms deteriorate despite the foliar treatment, then you should substitute CalMag water in place of the regularly scheduled nutrient solution. You can do this at up to every other fertigation depending on need. This practice helps to satisfy the coco’s craving for calcium, but it cheats the plant out of some other nutrients. When you do this, you need to be sure that the CalMag water has the same EC that the water it is replacing would have had. When you suffer calcium deficiencies in the seedling stage you need to carefully consider the coco you are using and your buffer before transplanting up. If you properly prepare and buffer the coco for the next transplant, then you should not continue to suffer issues and can return to normal management practices. Be sure to see our article, “Why Coco Needs CalMag”. The following two timelines are offered to give an understanding of a specific application of the principles outlined in this tutorial. As you will see below, each grow and each plant are a little different. 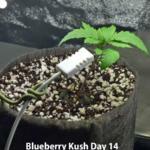 Be sure to follow the growth and development of your plant to determine how to care for it. 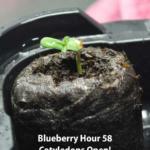 “Blueberry” from Seedsman was a fast-growing seedling. 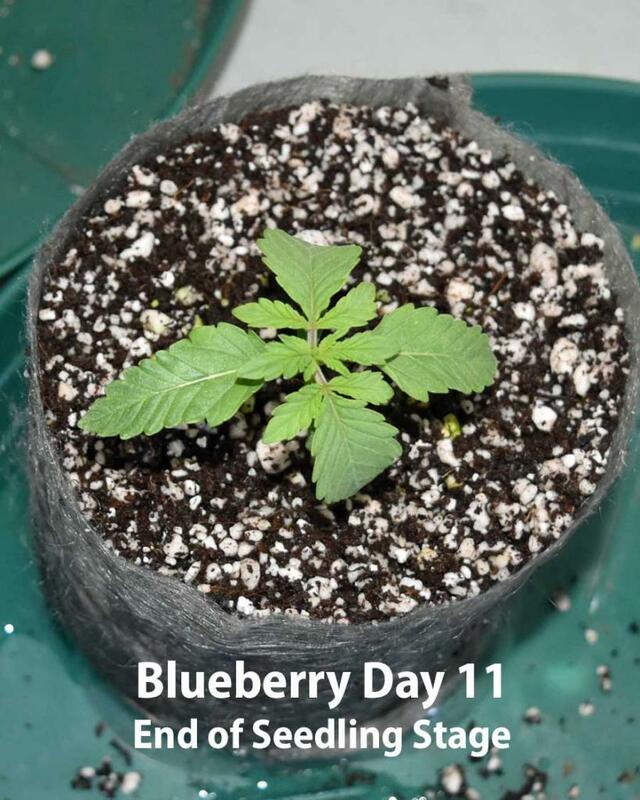 She spent less than 4 days in the germination stage and graduated from seedling status on the 11th day from seed. Most seeds will not quite keep up with the pace that she set. 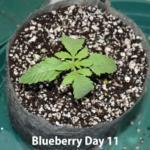 Day 11: (PIC) Plant has three nodes. Transplant to second container: End seedling stage. “Blueberry Kush” from Grower’s Choice Seeds took a little longer to germinate and then suffered minor calcium deficiency as a seedling. 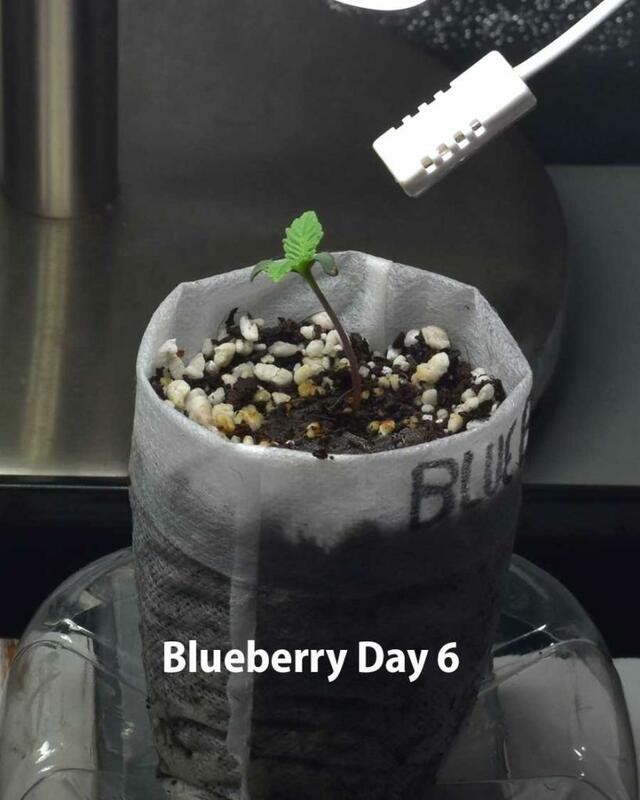 It took her a total of 14 days from seed to graduate the seedling stage. She is a good model if your seedling suffers any CalMag issues. Day 13: Roots Out from the bottom of seedling Bag! Fertigate twice: Full Strength Seedling Blend EC 1000, pH 6.1. Day 14: Plant has three nodes. Transplant to Second Container: End Seedling stage. When your little plants grow to three nodes they have graduated from seedling status and can be considered little plants. In most cases, they will be ready to be transplanted out of their seedling pots and into the next home. If everything goes well, you should reach this point about 2 weeks from seed. However, it may take longer, so be patient with your little seedlings and listen to what they tell you. 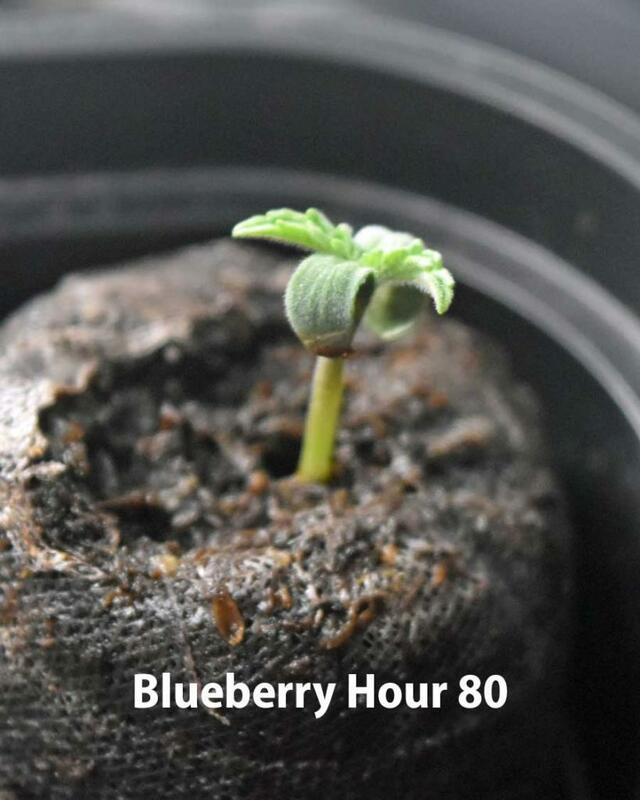 To handle the next stages of your grow like a pro, be sure to see our article/tutorials, “Why and How to Transplant Cannabis Plants” (Coming Soon) and “Why You Should Train Cannabis Plants”. Thank you so very much for taking the time to put together all of this information. I have been lost working with Coco until I came across your site. 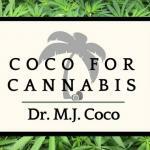 Coco For Cannabis is precisely what I’ve been looking for. Thank you. G,Day Dr Coco, Greetings from Australia. Thank you very much for your time and expertise in putting these tutorials together and presenting them to us in such an easy to read and understood manner. Throughout your tutorials it would appear you are referring to Photoperiod plants only ? Due to my grow space i can only grow Autoflowers. In future tutorials will you be including Autoflower plants ? Also cannot wait for your “coming soon” articles. Once again, Thank you very much. Thank you for the comment and I am happy that you enjoy the tutorials. There are some important differences with lighting and they require a different strategy with training, but in many respects Autos can be grown under similar management strategies as photos. I have traditionally grown Photo period plants, but I actually had autos by mistake on a recent grow. It is funny that you raise this question now, because I am about to announce the next grow challenge and we will be growing autos! I will announce it in our next newsletter, so be sure to sign up! We would love for you to grow together with us. I will also do my best to keep posting articles! Life gets a little out of hand sometimes, but I will make sure they stay a priority. 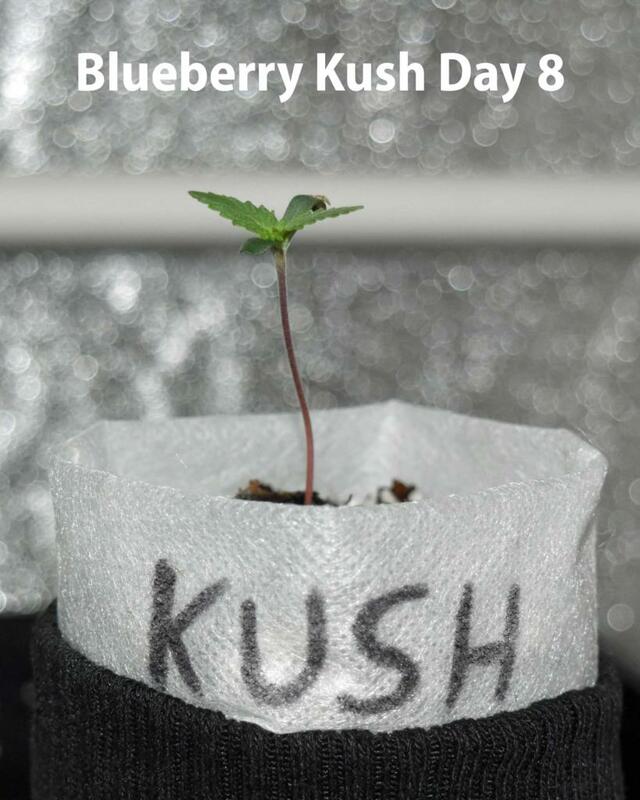 Hope that you join us in the next challenge and stop by the forum to say hi or start a journal for your grow!